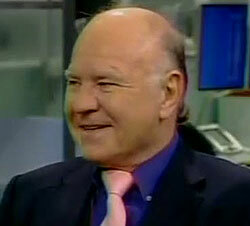 Marc Faber : "If you look back at 2007, before the crisis occurred, and today, the level of credit in the world has increased. The imbalances have also increased. And the sovereign credit of countries has essentially diminished in quality. Now we have a huge bond market rally because of artificially low interest rates, but I think the next stage in the rolling crisis that we will have will be sovereign defaults."